Read about Timothy Murphy, sharpshooter. I've been reading a great book by Mike Wright, called What They Didn't Teach You About the American Revolution (Novato, CA: Presidio Press. 2001) and became interested in Tim Murphy, the Pennsylvania sharpshooter who picked off Gen. Simon Fraser and Sir Francis Clerke at the Second Battle of Saratoga (aka The Battle of Bemis Heights). Timothy Murphy was born to Irish immigrant parents in 1751 in eastern Pennsylvania (near New Jersey). When he was old enough, he was apprenticed to a family who moved further west but remained in Pennsylvania. Prior to the American Revolution, Pennsylvania had no provision for a militia, having been settled by peaceful Quakers. On 14 June 1775, The Continental Congress authorized Pennsylvania to raise 6 companies of riflemen. A week later they were given permission to raise an additional 2 companies which were then combined with the first six to form a rifle battalion. Timothy Murphy and his brother John both joined the rifle company commanded by Capt. John Lowdon - the Northumberland County Riflemen. The entire rifle battalion was commanded by Col. William Thompson. One of the Virginia companies was commanded by Capt. Daniel Morgan. Dr. James Thatcher recorded in his diary, about the riflemen: "They are remarkably stout and hardy men; many of them exceeding six feet in height. They are dressed in white frocks or rifle shirts and round hats. These men are remarkable for the accuracy of their aim; striking a mark with great certainty at two hundred yards distance." Lowdon's Company served in the Siege of Boston, the Battle of Long Island, and at Westchester. Later Murphy became a sergeant in the 12th Regiment of the Pennsylvania Line and served at Trenton, Princeton and New Brunswick. He qualified for the elite Morgan's Rifle Company and transferred to that unit in July 1777. In August 1777, he was sent north to reinforce the Continental forces opposing Sir John Burgoyne's invasion of northern New York. Records in the Revolutionary War Rolls, on Footnote, show only one Timothy Murphy in its content, and the three pages with his name on them are all for August 1777. They are pay receipts for Capt. William Alexander's Company of the 7th Pennsylvania Regiment of Foot. At this point, it is uncertain whether this is the same man but further research may prove the connection. During the Second Battle of Saratoga, or the Battle of Bemis Heights, on 7 October 1777, Benedict Arnold watched as Gen. Simon Fraser fervently rallied his men, and commented to Capt. Daniel Morgan that he (Fraser) needed to be "disposed of". Within minutes, Timothy Murphy had climbed a tree, aimed his rifle, and shot Fraser through the midsection from a distance of 300 yards. His next shot killed Sir Francis Clerke (or Clarke) instantly. Fraser survived the night but died 8 October 1777. These two shots of Timothy Murphy's are credited with turning the tide of the Revolution, demoralizing British soldiers and giving courage to the Americans. Morgan's Rifles were sent to join the main army at Valley Forge, and spent that memorable winter with them. The following summer, Morgan's Rifles were sent to the Mohawk Valley of New York to defend against attacks by Tory and Indian raiders. Murphy elected to remain in New York after his service expired, joining with the Albany County Militia in 1779 or 1780. It was while he was there that he met and married Peggy (Margaret) Feeck or Feek, the daughter of Johannes Feeck. And it was against the British raids that he earned the nickname "The Rifleman". In 1781, Murphy reenlisted in the Pennsylvania Line under Gen. "Mad" Anthony Wayne, and was present at the final battle of Yorktown. 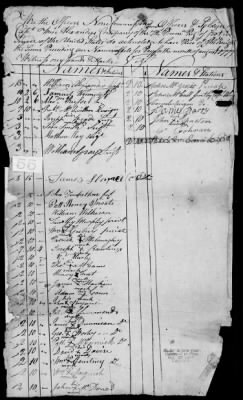 After the fighting, Murphy returned to his wife and family in the Schoharie valley, and he appears there in the 1800 and 1810 censuses, living close to several Feek/Fake families. Peggy died in 1807, after giving him 5 sons and 4 daughters. He then married Mary Robertson and they moved to Charlottesville. Mary presented Timothy with 4 more sons. Being unable to read or write, he nonetheless became quite wealthy and a local politician. Toward the end of his life, he returned to the Schoharie, where he died in 1818 at the age of 67.